You can think of CCIE written as the equivalent of taking your driving test theory part before you’re allowed to get behind the wheel with a DMV employee. Likewise, CCIE Written is a qualification exam and a prerequisite to CCIE Lab. However, there are a few questions about the CCIE Written and Lab exams that just won’t go away, so here I decided to put them all together in one place. CCIE has multiple tracks (e.g. R&S or SP) and each track has its own CCIE written and lab exams. Do I have to choose a track? Yes, you need to choose a track before planning your exam take. CCIE program requires that you pass the corresponding CCIE written exam before you’re allowed to register for your CCIE lab. Once you are CCIE certified (i.e. you have a CCIE #), you can take and pass any CCIE written exam to keep your certification active. What CCIE Exam tracks are available today? There are six tracks to choose from. Routing and Switching Foundational and mainstream track, most people start here. Security Mainstream track, a lot of people start here. Data Center Mainstream track, considerable number of people start here. Service Provider Niche track, suitable if you are working for a Carrier or an ISP. Collaboration Niche track, suitable if you are interested in becoming a UC guru. Wireless Very niche track, only recommended to people who are already working in the field. I’d not be surprised if this track is folded up in the near future. Which track should I choose? I have been asked this question more than I’d like to. You can use multiple factors to come to this conclusion. Broadly speaking, for most network engineers, it would make sense to start with the Routing and Switching track. You can nail down your exam track of your choice depending on the following three areas. What do you see yourself doing in 3-5 years as far as your career is concerned? If you will be working as a Network Engineer (at any level), then perhaps R&S track is most suitable for you. If you will be working as a Network/Content (Infra) Security Engineer, then Security track is suitable. If you already have strong experience in a given set of technologies (e.g. routing/switching), it could be a good idea to just start with that. Is there something specific that would help you to advance in your job and career, from where you’re now? If answer to this is yes, then you should focus on that particular domain of knowledge. If you work in an Enterprise, clearly doing Service Provider track wouldn’t make a good choice. Similarly, if you are in charge of network security infrastructure, then doing Data Center wouldn’t make much sense as a starting point. There is absolutely no prerequisites to taking a CCIE Written. You don’t need to be CCNP or even CCNA. In fact, if you have been working in networking field and have strong experience, I’d suggest to just start preparing for CCIE written exam for your track. CCIE Written exam can be scheduled online with Pearson Vue website. Once you have selected Cisco Systems, you will be able to complete your registration. Generally, you can book a written exam even a day earlier (In case if you have not figured it out, CCIE isn’t as hot today as it used to be back in late 90’s – early 2000s). Likewise, you can also book your CCIE lab exam online using Cisco website, in most cases as soon as a week in advance. Most CCIE Labs, for my location in the US, are available within one to four weeks. However, for CCIE lab exam booking, you must have passed the corresponding CCIE written exam over the past 18 months. How much do I have to pay to register for CCIE Exams? CCIE Written and Lab exams would cost you $450 and $1,600 respectively. How about going for Multiple CCIEs (2nd, 3rd so on)? Regardless of the reasons, your first CCIE certification would come with the biggest return on investment, after that it would be incremental. Multiple CCIEs are good to have if there is a reason to do so, for example when learning new domain of knowledge (esp. Security or Data Center) would help you advance in your job or career, even better if your employer is paying boot camps as well as lab exam fee. If you are a Cisco employee, you can attempt each track about three times free of cost (sweet!). Who creates CCIE Written and Lab exams? 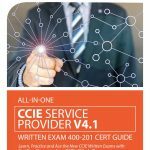 CCIE exams are almost entirely written by Cisco employees (or outside SME expert who are enrolled and accepted into the program). As far as Cisco employees are concerned, those are either working in the CCIE program department or Cisco TAC. All approved questions are mapped to the blueprint and added to item bank for use on exam forms. The passing score for each exam is determined using psychometric standards and scaling methodologies. 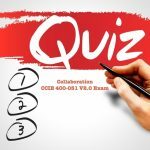 How CCIE exams are graded? CCIE written exams are graded on an overall scaled score, i.e. 300 to 1000. Lab exams are graded by each section and report a Pass or Fail depending on the individual section scores (which are calculated on all or none basis except for CCDE). How about CCIE Exam Passing Scores? Well, that depends on the exam you’re taking; however, it is over 80% in all cases. Passing scores are set based on something Cisco calls Minimally Qualified Candidate (MQC). How frequently do the CCIE exams change? Questions on CCIE written exams change far more often than CCIE lab exams. However, CCIE written exam changes are never advertised for obvious reasons. Cisco, however, does announce changes to the exam blueprints. Where can I go to see all CCIE exam blueprints? All exam blueprints are available here. What type of questions can I expect on a CCIE Written Exam? Based on the internet collective knowledge base, below are the types of questions that you can expect on a CCIE Written exam. Each CCIE written exam consists of several sections that are specific to the domain knowledge (e.g. R&S or Security), along with an evolving technologies section which is common across all. Each written exam can last up to two hours. However, in countries where native language is not English, you can expect to get another 30 minutes. What type of questions can I expect on a CCIE Lab Exam? CCIE lab is an eight-hour long exam. It consists of three sections. Troubleshooting (2 hours), you troubleshoot virtual devices. DIAG (0.5 hours), there are no devices involved. Configuration (5.5 hours), you configure virtual devices. There will be many more parts to this post series. Stay tuned.